If you’re running Internet Explorer (MSIE) on your PC, you’ve got a vulnerability that’s dangerous, so dangerous that Microsoft’s poised to release a special system patch. While you’re waiting, here’s how to change the settings on your browser to minimize the risk…. 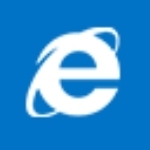 Microsoft Corp. issued a warning on Saturday 26th April, about the vulnerability which could allow remote code execution, and this is vulnerability which affects every single version of Microsoft Internet Explorer – their Technet Security Advisory 2963983 can be found here. There is a lot more information on the zero-day vulnerability in this gizmodo article regarding the vulnerability, but the gist of the article is that there are ACTIVE EXPLOITS making use of this vulnerability – largely targeting MSIE version 9, 10 and 11 – the attack is call the “use after free” attack and is a fairly complex memory corruption – which then allows the attacker to run arbitrary code on the attacked machine. According to internet security firm FireEye – the percentage of Internet explorer uses is as high as 26% of all internet users – so more than a quarter of all browsers being used on the internet have the potential to fall foul of this zero-day exploit in MSIE. Gizmodo suggests that as XP is now “end of life” – there won’t even be a patch for this problem coming to an XP machine – as in – EVER… !! Ask Dave Taylor IE, internet explorer. permalink. Dave, If I install pcmatic.com, do I still need to stop using internet explorer ?